When you buy a new car, the process is mostly enjoyable with the only decisions you need to make being which additional extras to include (or exclude) and which color you want. The process of buying a used car, however, is not so smooth and is often filled with stress and doubt. 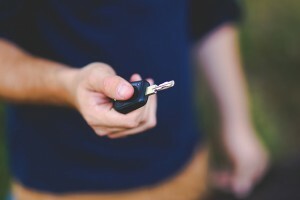 If you are having trouble navigating the world of used cars or are just about to undertake the journey, Synthetics Northwest has some tips to share to help. Why Is the Car for Sale? This is the obvious starting question is why the vehicle is for sale in the first place. If the seller mentions anything to do with ongoing costs or required maintenance, move on to the next car. Ideally, your car would be for sale for a reason such as the current owner now has a family and needs to upsize or an ex-company/fleet car which was only used for city-based driving and the occasional long-haul journey. Has the Car Ever Sustained Damage? There are two reasons why this question is important. If the car has previously sustained damage, such as a car accident, the structure could have been unnoticeably weakened, making it less effective in providing protection in the event of a future collision. If you are looking to sell the vehicle in the future, sustained damage, repaired or not, will affect the price you will receive. Similarly, if you are comfortable with the damage incurred, it can also lower the price you will need to pay. Did the Previous Owners Keep up With Maintenance? The answer to this will give you insight into how well the car was cared for. Not just mechanically, either. If the owner of a car is willing to neglect engine maintenance, then they are likely to neglect other areas of the car, also. This is usually a bad sign. If possible, check which type of oil the previous owner used. If the car has been running on high-quality synthetic oil, then it is a good sign. Once the car is yours, continue using a high-quality synthetic oil to maximize the performance and lifespan of the car. Speak with Synthetics Northwest at (888) 283-3580 (Toll Free) about which AMSOIL engine lubricant is right for the job. If you prefer, the online store has further information. If you have made it this far and you are still interested in the car, then you are on a good track. The next question to ask is whether you are able to have the vehicle inspected by your own mechanic. Whether that be at the dealership or at the mechanic shop. If the dealer or seller is unwilling, there is likely something to hide, and it's time to move on to the next car and star the list again. Can I Give the Car a Test Drive? Strange as it seems, there are some dealers who don't allow customers to test drive cars before buying them. Or at least leaving a hefty deposit. Instead, these dealers will drive the car around with you as a passenger. Similar to the point above, this is rarely a good sign and it is probably best to visit a different dealership. Does It Come With a Clean Title? When a car is purchased using credit, a claim is usually placed against the title of the car. This claim is not automatically removed when the car is sold. This means that should the owner stop making payments then your new car can be repossessed. Checking the title of cars is not difficult and can save you a mountain of a headache in the future. Speak with your local vehicle registry to get the information you need. Does It Come With Any Level of Warranty? Just because it's a used car, it doesn't mean that it can't come with a warranty. Although limited, some larger dealerships or registered dealers will offer an accompanying warranty. While this is a good sign, read the fine print very carefully as, given the nature of a used car, is likely to include many exclusions and requirements. Once you've found the right car for you, make sure to take care of it with the right products. Speak with the experts at Synthetics Northwest by calling (503) 371-7184 and ask about the benefits of synthetic oil. If you know which products you would like, our website can take your order or provide further information.